To begin your garden design you need to analyze and choose which plants grow best in the location. Don't get too crazy with the mix – too many kinds of flowers and ferns can spoil a small garden's sense of harmony. 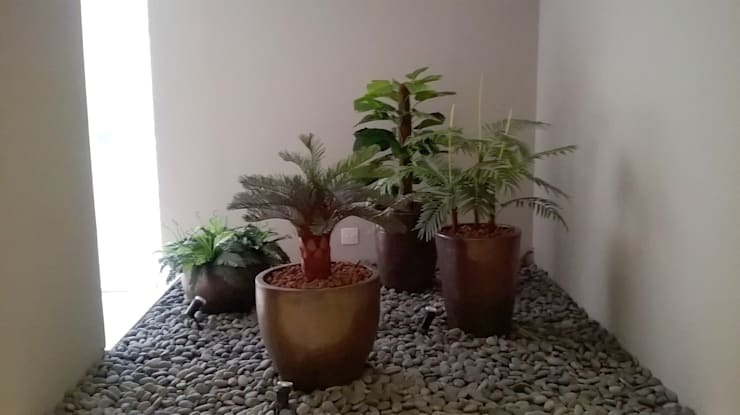 Another feature to mind is the size of the plants, you don't want your palm growing too big for its pot. Once, you've plotted and planned, it's time to get your hands dirty. Check out, these 20 small gardens and get inspired! 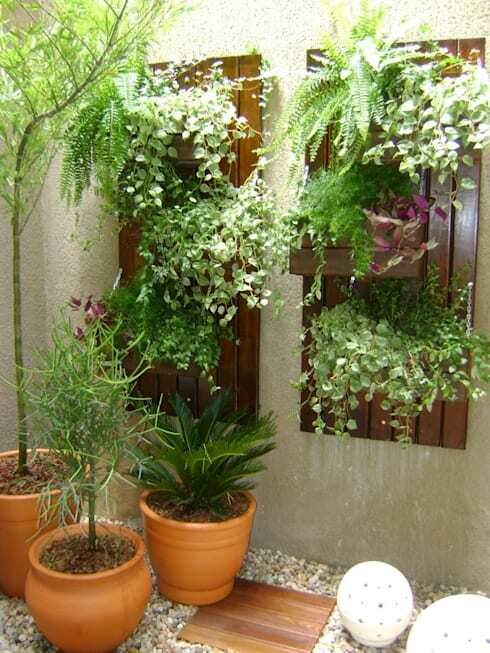 The vertical garden is great if you are tight on space but want to add a little greenery to your home. Spice it up with unique planters, like these bamboo ones, or upcycle and use an old chest of drawers. 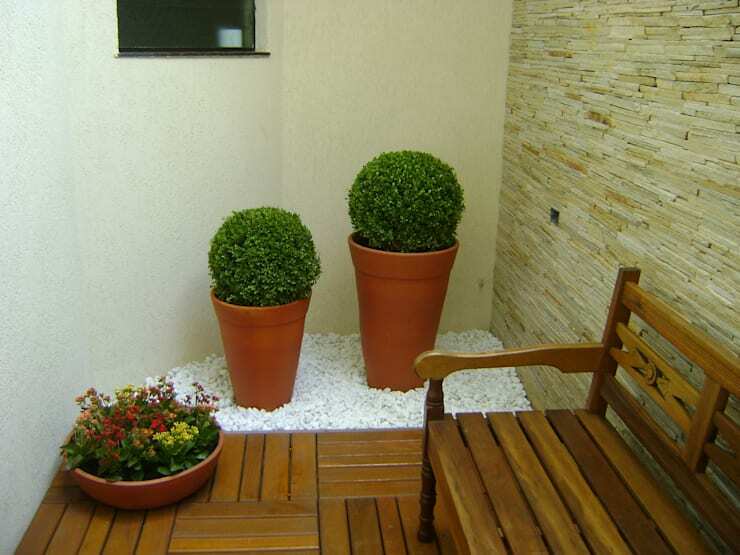 A neglected corner can be spruced up by adding texture to it. 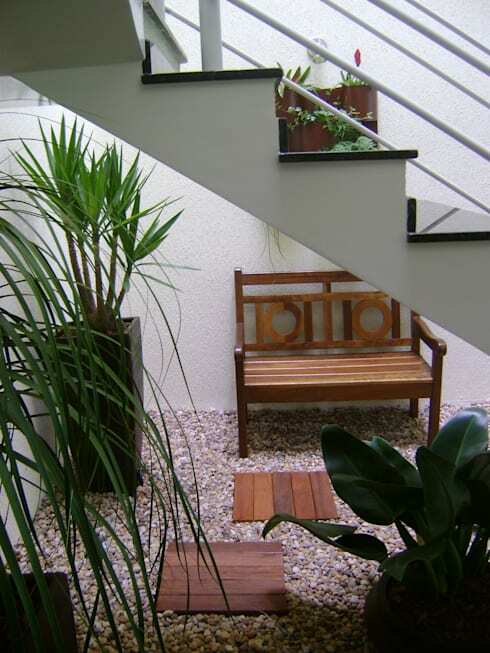 Gravel and wood go well together and are easy to maintain. This pretty corner uses two tall potted plants, gleaming white pebbles, a tiny wooden and a cozy bench to make a statement. 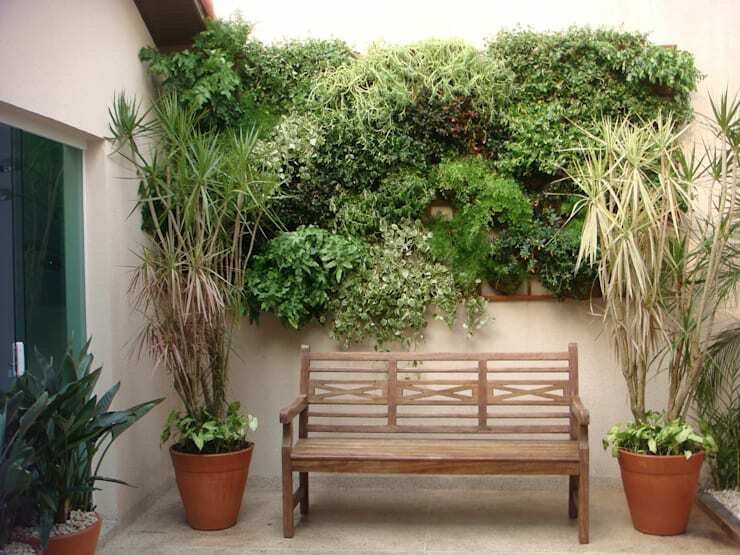 A green wall is a wall partially or completely covered with plants that includes a growing medium, such as soil. 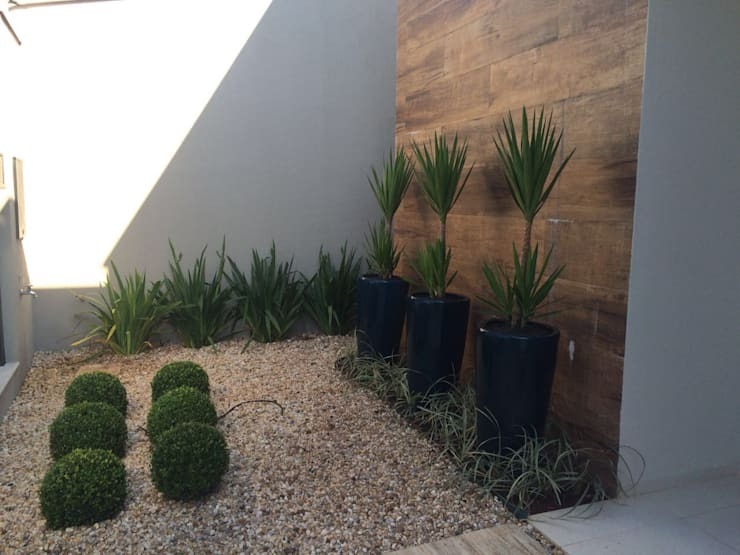 Most green walls also feature an integrated water delivery system. They can be a vibrant, verdant addition to any neglected corner and a bigger bonus if they are planted indoors: they are great insulators and help to keep a house warm. 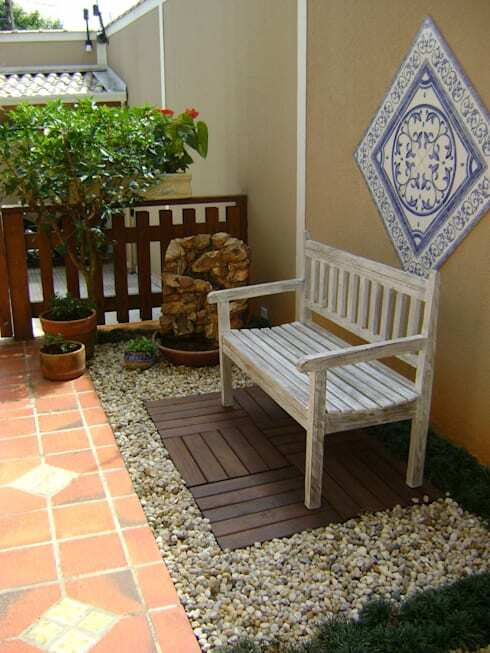 If your unconsidered corner is outdoors and in the shade, contemplate a flower or plant bed. It's a bit more work but can be worth the effort. 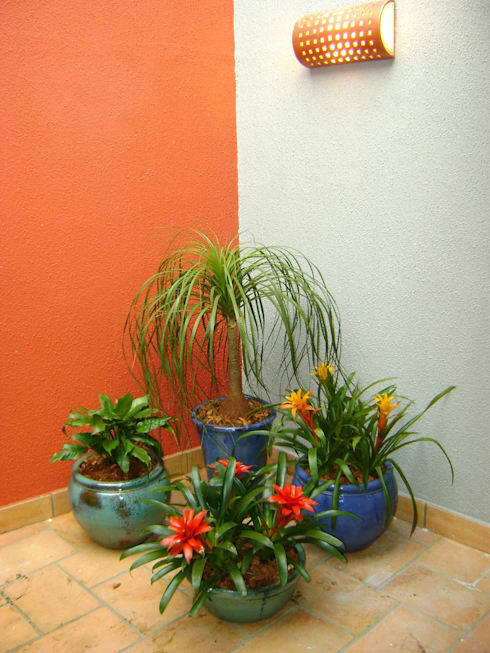 Wall-mounted planters and pots in a variety of sizes can enliven any tired corner. 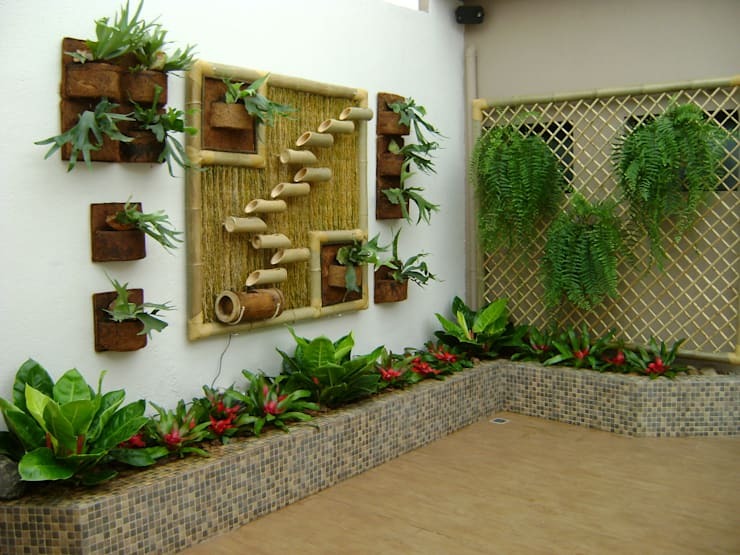 This layout uses a variety of ferns and wooden wall mounts and gravel for an eye-catching arrangement. Rocks and gravel are low-maintenance and work well in corners. 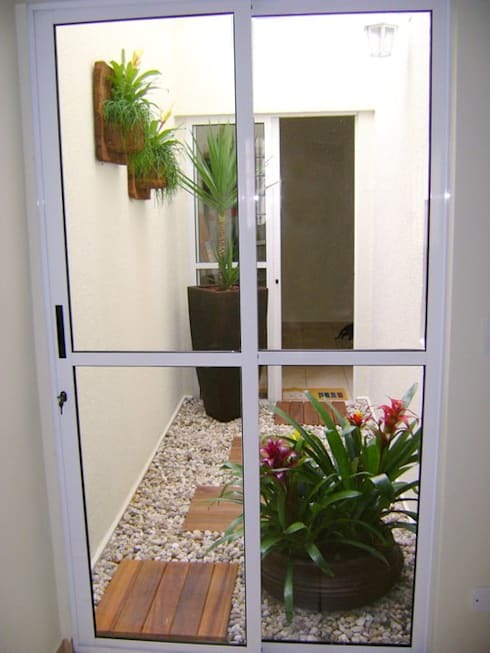 Add a few potted plants, ceramic tile and a water feature and your neglected nook will get your neighbours talking. This setup up-cycles an old desk and uses a variety of succulents to green the corner. Easy to maintain and easy to copy. 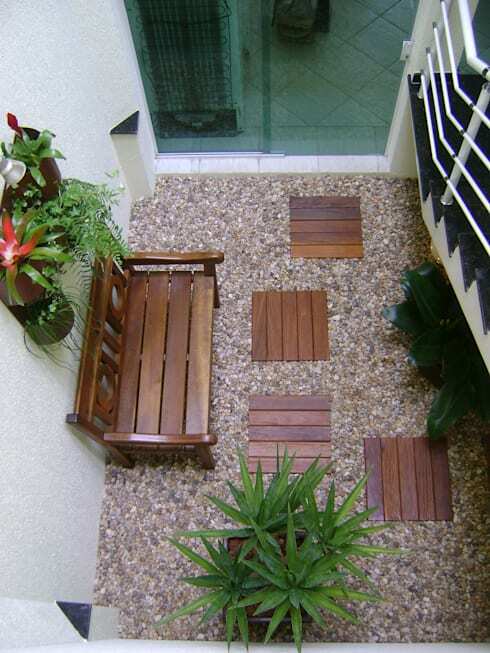 In this garden, wooden stepping stones break up the monotony of the gravel. 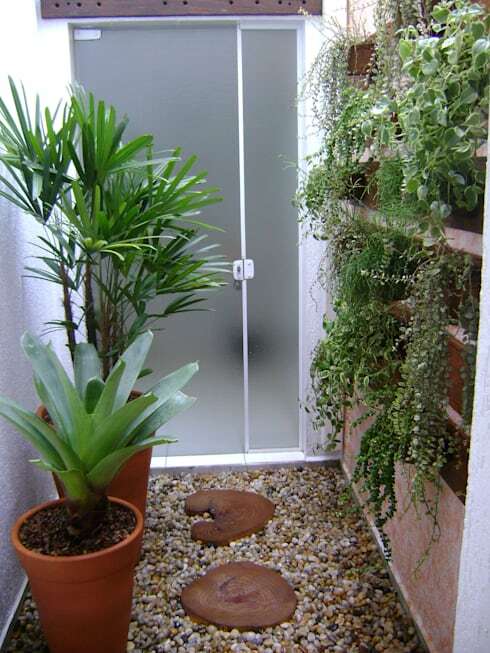 The vertical planter makes sure the plants get sunlight and draw the eye upwards. Brightened that dull corner with a coat of vibrant paint. Add a few flowering plants, some colourful pots and you've got a space filled with something much better than dust bunnies. Why stop at a vertical garden, when you can create a head-turning arrangement like this one? 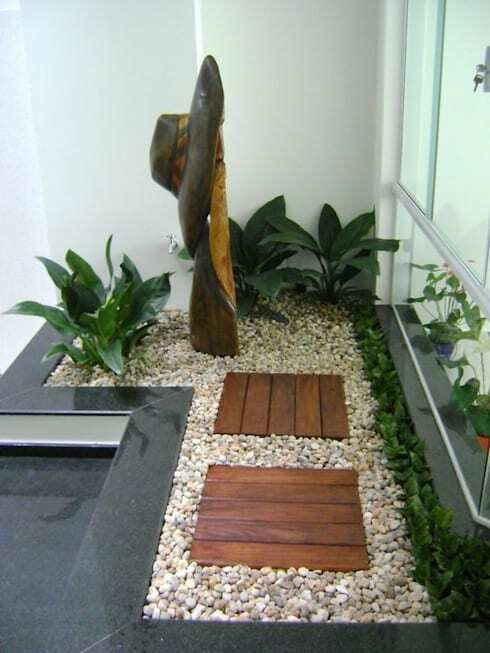 A water feature can bring calm to any corner. 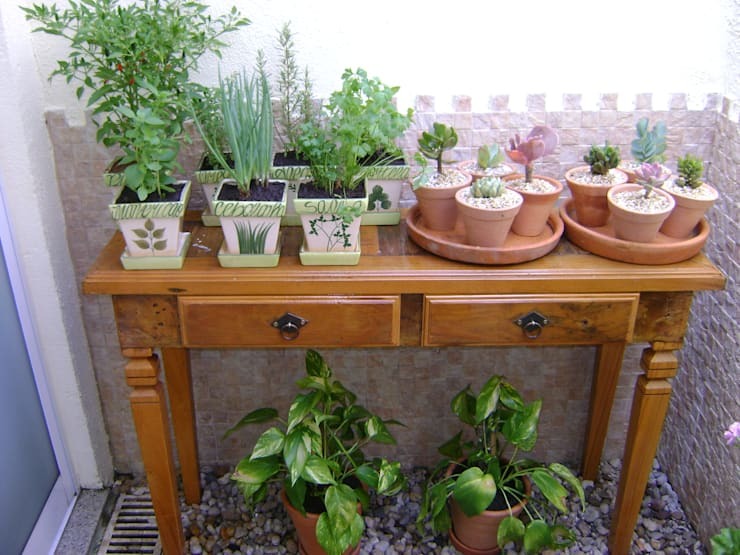 Plant local flora in small pots and place them round the house – they are a sturdier option than plants that are not native. It's a natural material that brings warmth and character to any environment. 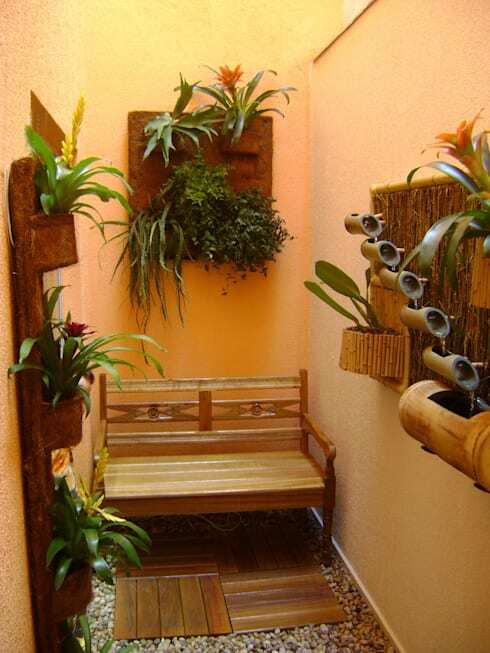 If you have an empty corridor, an excellent idea is to invest in a small garden with plants in pots… or go up with a vertical garden. 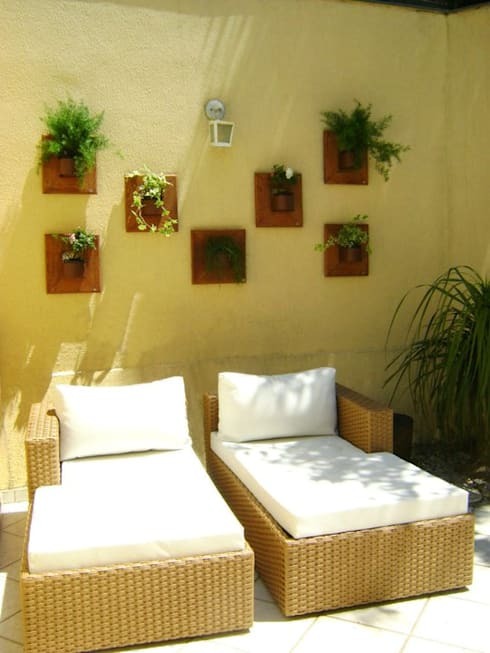 Add some culture and greenery to your home – place a work of art right in the middle of the garden. 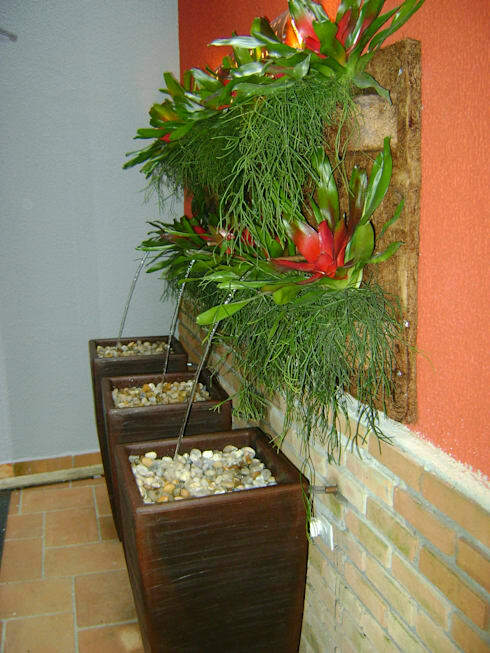 Place a planter or two in your lobby to make it more welcoming and fresh. 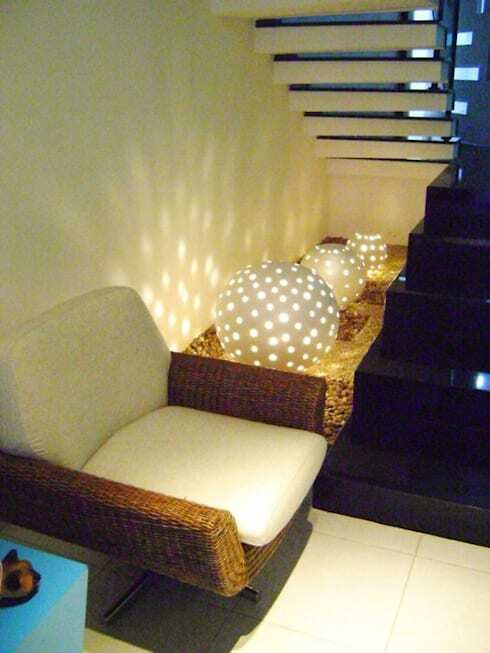 A garden with original and creative lamps is a showstopper. Light can bring magic to even the smallest spaces. This is a type of garden that does not need much care. We like that! 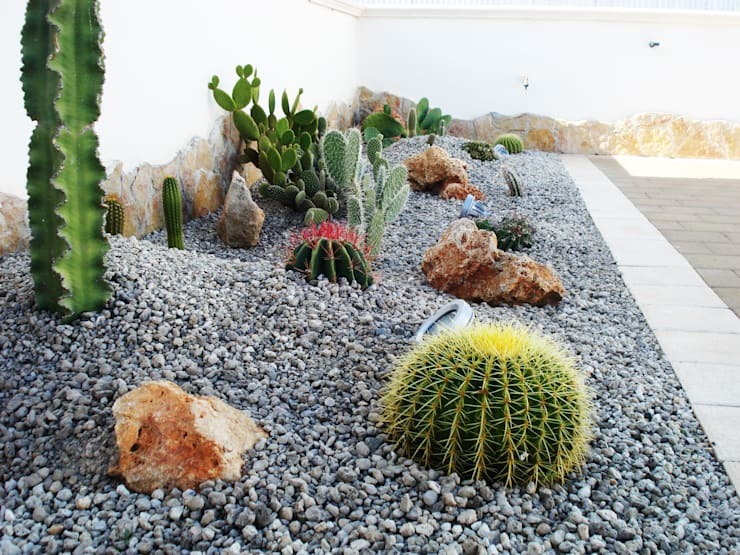 Just plant different cacti and surround them with rocks for an eye-catching arrangement. You can even choose cacti that bloom. We absolutely love these planters. Much like picture frames, they can be hung in a variety of ways to break up the monotony of a wall or tired corner. To close, here's a beautiful garden that has a bit of everything – a living wall, pots with fountains, a wooden deck, wooden bench, a snippet of lawn and stone floors, plus orb-shaped lamps that add a special glow at night. And all in a teeny tiny space – wonderful! Did we flex your green thumb? 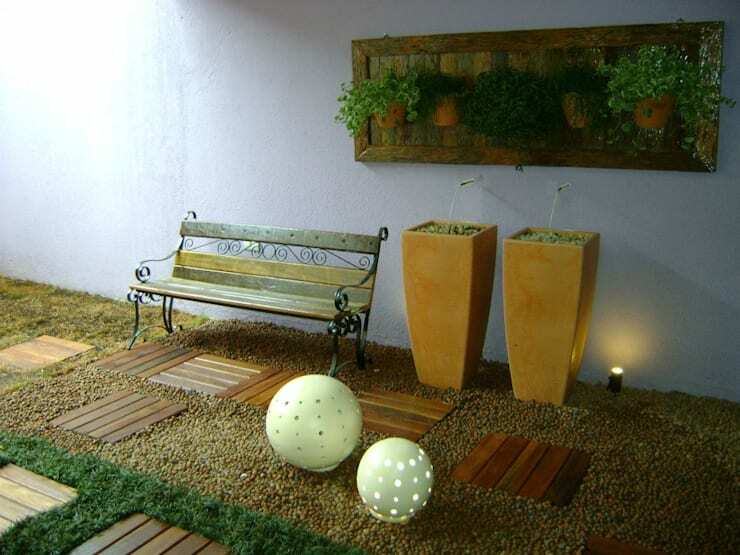 Then this award-winning garden will inspired you . Do you have tips for a small garden? Share them with us.